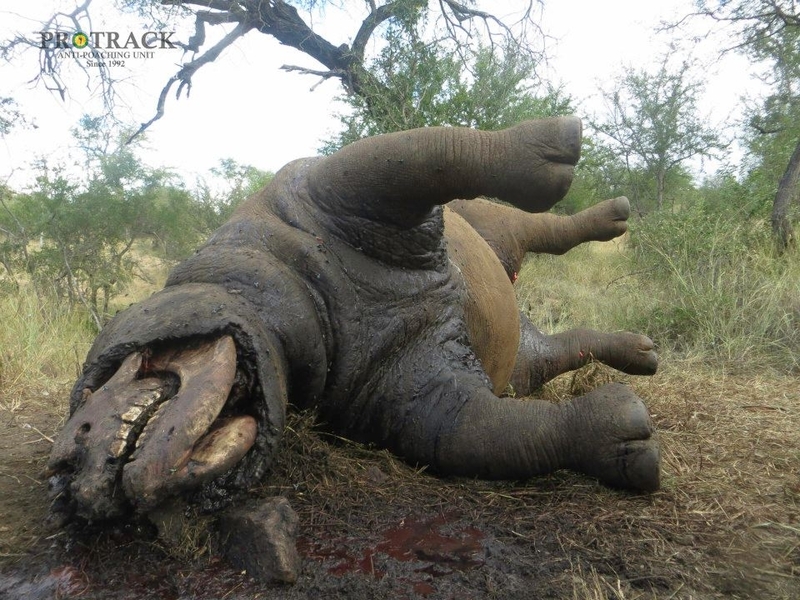 Protrack Anti-poaching Unit are sponsering the Rhights for Rhinos in an effort to raise awareness to the severe problem South Africa is up againts in this “Rhino War”. Our represenative, Sboniso Phakathi (better known as SPOON) is walking with partner Paul Jennings from Musina to Capetown to raise awareness and highlight the ever increasing slaughter of Rhinos in South Africa. 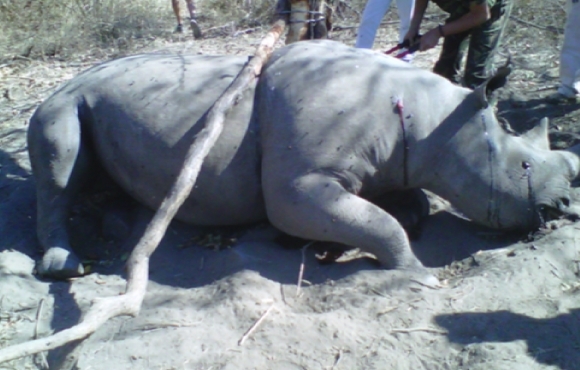 Three days ago, on June 20th, our team was called to check the carcass of a big rhino cow recently killed, and to rescue her calf and a young cow that had been wounded. ONE BULLET STRAIGHT IN THE HEAD! Second time in a week that our team is called to check on a rhino carcass! The first thing that surprised us when we arrived was the position of the rhino. The animal was lying down with its front legs under its chest, it was as if it was sleeping. 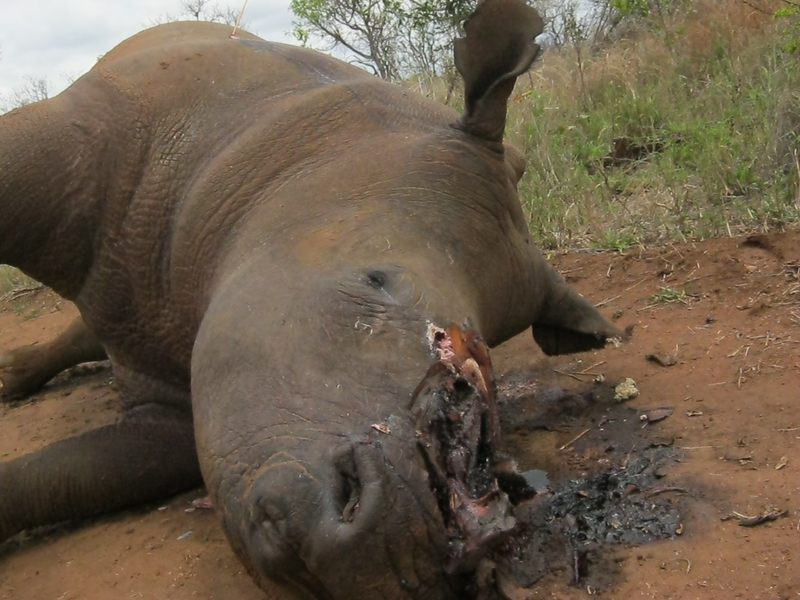 Then, when we looked for body injuries, we realised that the job that those poachers did, was very cleaned: the rhino had been killed with a SINGLE BULLET STRAIGHT IN THE HEAD!! 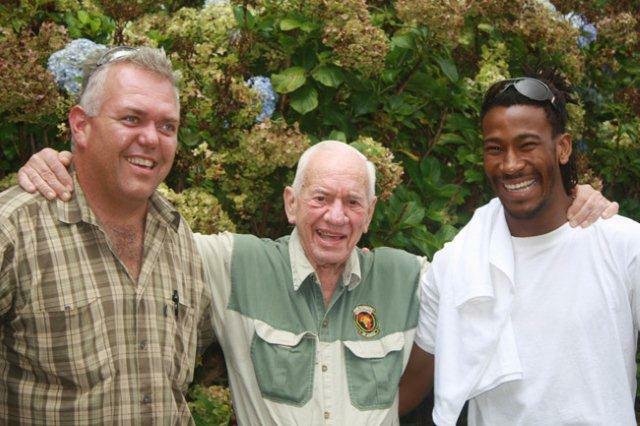 On the 29th of August 2011, we received a phone call from the Captain of the Hoedspruit SAPS Captain Heinieker. 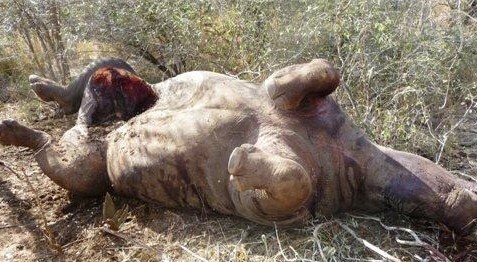 He explained to us that there was a rhino carcass found around the Hoedspruit area. Vincent Barkas and I immediatly got into the vehicle with all the equipment and responded to the site of the poaching incident. Copyright © Protrack Anti-Poaching Unit. All Rights Reserved. Webmaster: Amanda van Schalkwijk of Imagine Africa Safaris.